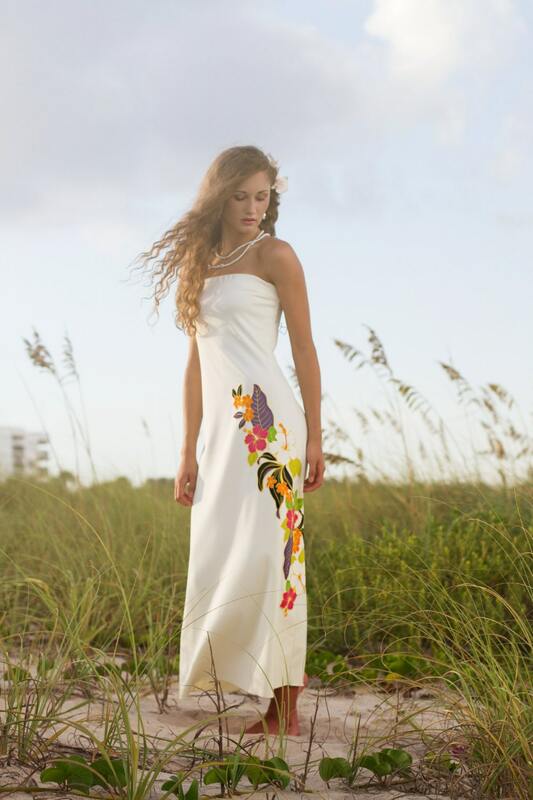 This dress would be exquisite for a Tropical Wedding. Made from an ivory stretch fabric that’s not to clingy and not to heavy, it’s just perfect. The dress is fully lined . The dress is hemmed at a three quarter length that hits just above the ankles . 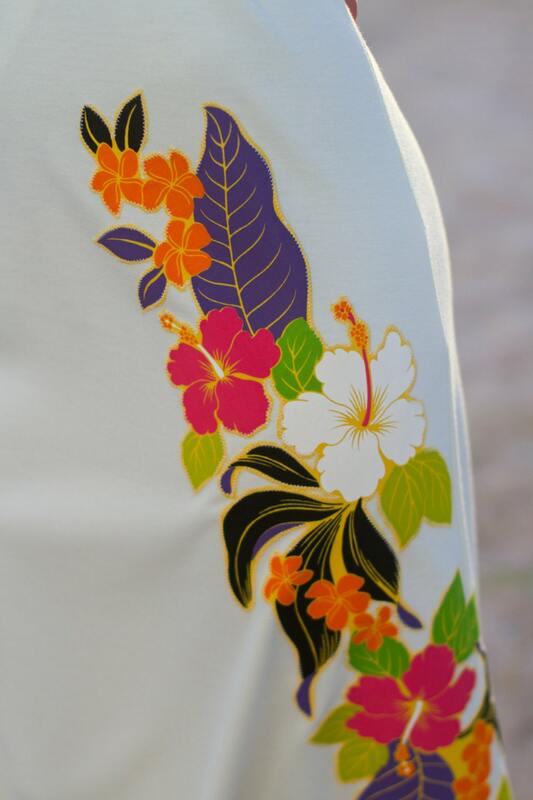 The tropical flowers on the side of the dress are hand cut from hawaiian fabric. After the flowers have been hand cut, they are then sewn to the dress using a stitch that is less than 1/8 wide. This process is tedious, but ensures a beautiful look for your special day. Each dress is made to order . After you have purchased the dress I will contact you for measurements. Traveling? The material the dress is made of travels very well and packs easily for a destination wedding.